The Beauty of Life: Beauty Question: How Often Do You Shave? 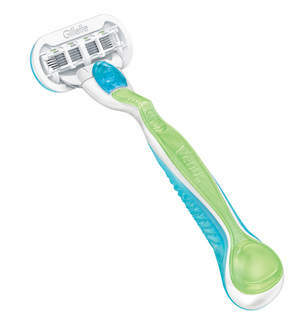 Beauty Question: How Often Do You Shave? My number one reason for despising the summer months? I absolutely hate shaving. I'll do it, of course -- but with dark hair, the need to shave comes pretty darned frequently. And while I save up the money for laser hair removal, I'm shaving my legs at least every other day! So my beauty question of the day is this. How often do you shave? Is it an every day affair, or do you let time go by between bouts of breaking out the razor? Let me know in the comments! I hate shaving as well but I usually do it once a week (when I remember, lol). Every single day and if I miss a day- tiny, dark, sharp killer needles that can cut aluminum cans. Hehe. I actually don't mind shaving though. I always try to lift my legs while I'm in the tub, like the commercials, so I can feel gorgeous.